MAKE A DONATION IN LOVING HONOR OF EVA KILGORE! ​Proceeds from these donations, and these fundraising events, benefits the Philharmonic Society of Orange County’s Music Education Programs, offered free to all public and private schools in Orange County, Grades K-12. Tax I.D. #95-1805452. Voted, "Top 10," By Coastal Living Magazine. Voted, "10 Best Christmas Lights Destination in the U.S.," by AOL. "Worth The Drive," according to AAA Southern California. The Huntington Harbour Philharmonic Cruise of Lights® offers narrated boat tours through the waterways of Huntington Harbour in Huntington Beach, California. In December both locals and visitors share the beauty of thousands of lights and animated displays on brightly decorated homes, docks, decks and boats. 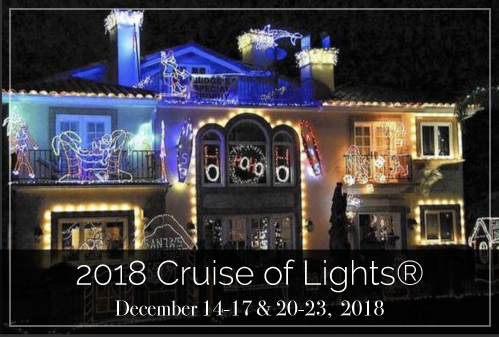 Buy Cruise of Lights® Tickets! 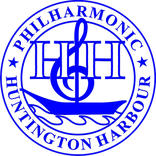 Huntington Harbour Philharmonic Committee Cruise of Lights® Copyright 2016.